“When the Good Friday Agreement was signed in 1998, it was one of the happiest days of my Presidency,” writes Bill Clinton in the foreword of a new book about one of its architects, John Hume. “Perhaps as a result of his early years studying for the priesthood or establishing Northern Ireland’s first credit union, John had one of the most highly developed senses for the potential of partnerships to effect positive change,” Clinton adds. The 42nd president of the United States refers to his long-time friendship with the Nobel Peace Laureate from Derry, whose ability to stay the course and rely on enormous reserves of patience he clearly greatly admires. 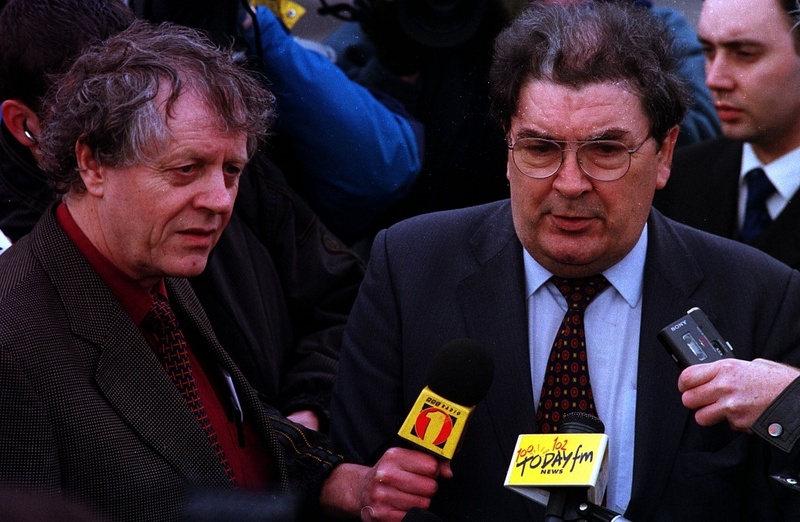 Seán Farren and Denis Haughey, the editors of “John Hume: Irish Peacemaker,” are also friends and admirers, as well as being colleagues in the Social Democratic and Labour Party. 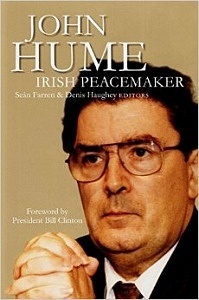 “[The book] consists of a collection of 14 chapters in which the various authors discuss and critically assess aspects of John Hume’s contribution to politics over that last half-century,” Farren told the Echo, “My task and that of my co-editor was to identify and invite the contributors to submit chapters and then to edit them for publication. It has been a privilege to have been one of the editors of this book which has been produced essentially to remind people of the enormous and transforming contribution John Hume made to Northern Irish, Irish and Irish-British politics. “From his entry into public life in the early 1960s John Hume challenged the long-established zero-sum confrontational nature of relationships between the unionist and nationalist communities in Northern Ireland, between North and South in Ireland generally and between Ireland and Britain over the Northern Ireland situation,” said Farren, a former minister, parliamentarian, schoolteacher and academic. “Ultimately it was his message that provided the framework for the 1998 Good Friday Agreement,” said Farren, currently visiting professor at Ulster University. Date of birth: Sept. 6, 1939. Published works: “The Politics of Irish Education” (1995); “Paths to a Settlement” (2000) co-authored with Robert Mulvihill: “SDLP – The Struggle for Agreement” (2010); “John Hume – Irish Peacemaker” (2015) co-edited with Denis Haughey. Not being a professional, full-time writer, I don’t have a special routine. James Joyce’ s “Ulysses”; JD Salinger’s “Catcher in the Rye”; John Steinbeck’s “Grapes of Wrath.” All three were read many decades ago in my late teens and early adult life and so date me. Tolstoy’s “War and Peace” – a book I should have read many years ago. One of the four evangelists who wrote the Gospels of the New Testament. The North Coast close to which I have lived for more than 40 years and part of which was in the constituency for which I was elected to the Assembly of Northern Ireland. You’re Irish if… I am and always have been Irish, no “if” about it and very proud of it. To celebrate the publication of “John Hume: Irish Peacemaker,” Glucksman Ireland House, NYU, will host a panel discussion on Thursday, March 24, at 7 p.m. with co-editor Seán Farren, contributors Paul Arthur and Nancy Soderberg, with participation by Glucksman Ireland House NYU’s Prof. Joe Lee and Loretta Brennan Glucksman. Farren was a senior negotiator for the SDLP during the talks in the mid-to-late 1990s that led to the Belfast Agreement. Prof. Paul Arthur is an Irish Peace scholar and has taught at the University of San Diego and the University of Ulster. Ambassador Nancy Soderberg specializes in foreign policy and is the president and CEO of an international consulting firm. 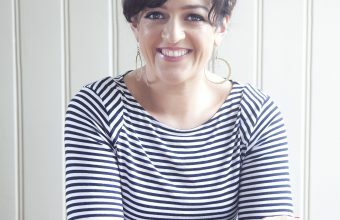 She has served under several presidents, including Bill Clinton and Barack Obama, and was centrally involved in negotiating peace in Northern Ireland. Free and open to the public. Seating is limited. Please RSVP by calling 212-998-3950 (option 3) or by emailing [email protected]. 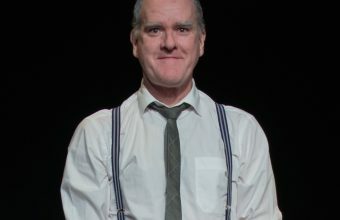 The event is present with the support of Origin Theatre Company, The British Council of Northern Ireland, and The Arts Council of Northern Ireland.